It was in the evenings that the group turned contemplative. 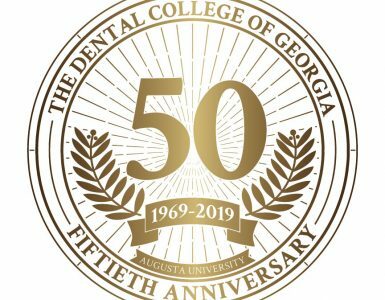 “The students would start telling stories, and tears would well up,” says McMillan, an adjunct faculty member in The Dental College of Georgia who, along with Dr. Ken Hutchinson (’82), has helped organize Third World mission trips for some 15 years. They’ve enlisted several others, including fellow alumnus Dr. Phil Koch (’74) and colleague Dr. Bart Whitesell. 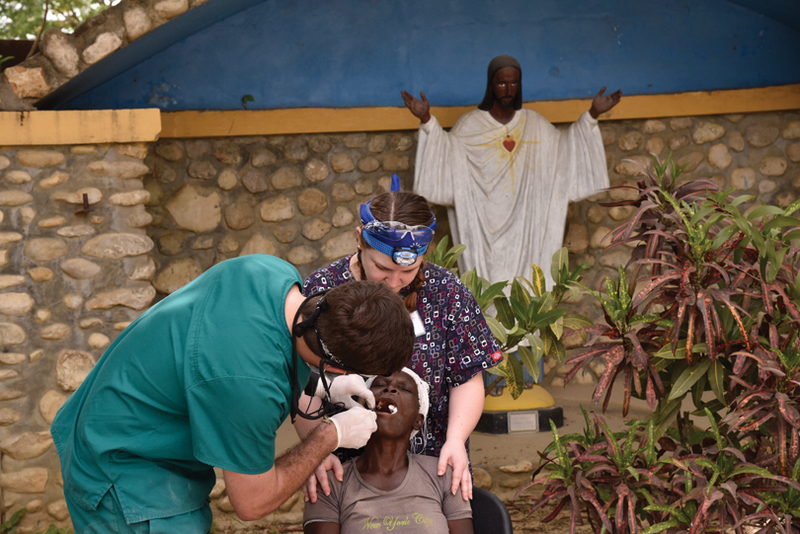 The most recent Haitian mission trip, held in May, took place in Hinche, a town about a two-hour bus drive from Port au Prince. 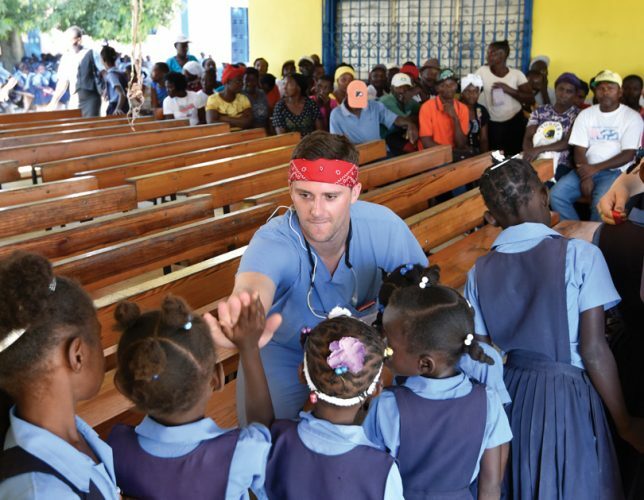 McMillan and his fellow volunteers organized the trip through the Society of Our Lady of the Most Holy Trinity (SOLT), a Catholic missionary community. 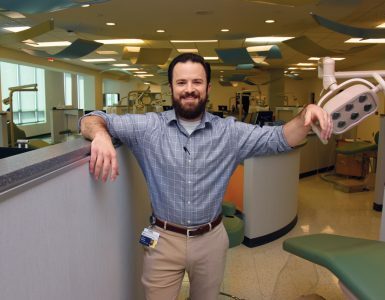 The treatments initially took place at a clinic on the grounds founded by Dr. Jim Whitney, an orthodontist, “but we’ve since branched out and now work at various clinics sponsored by the Catholic Church,” McMillan says. 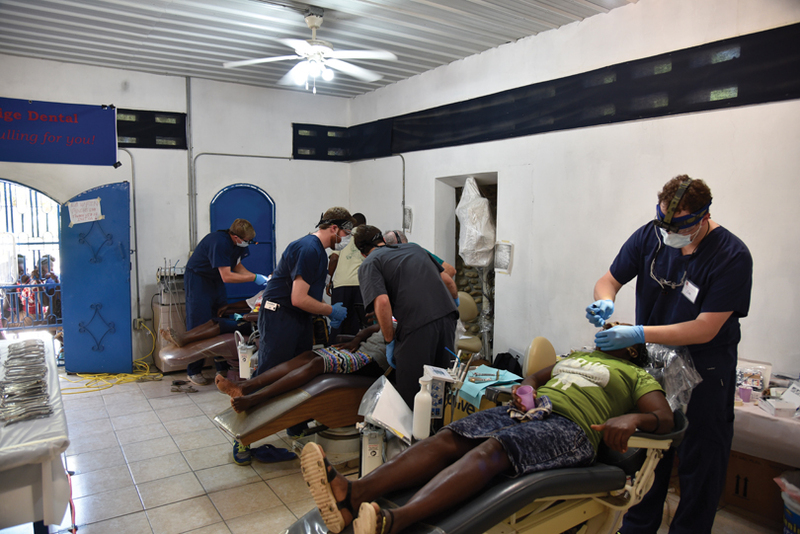 During the Hinche trip, in addition to performing cleanings and fluoride treatments for SOLT’s 1,400 schoolchildren, the volunteers provided general and cosmetic dentistry for hundreds of locals, most of whom have no other access to dentistry. Theirs are the stories that would punctuate their evening conversations. Plaisance notes that he particularly bonded with a little boy whose face was badly swollen from a bee sting. 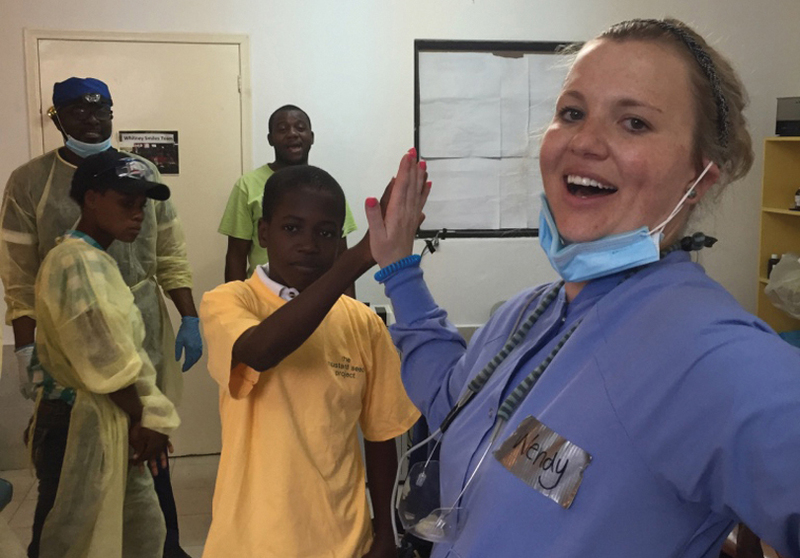 The volunteers provided daily cortisone treatments and formed a lasting bond. “We spent time with him every day,” Plaisance says. “A bunch of people would be waiting for us every morning, and I’d always spot him in the crowd. 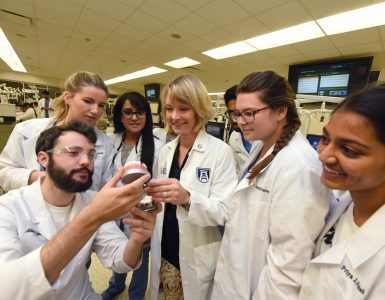 As was true of most of the student volunteers, the experience whet her appetite to make volunteerism an ongoing component of her career. 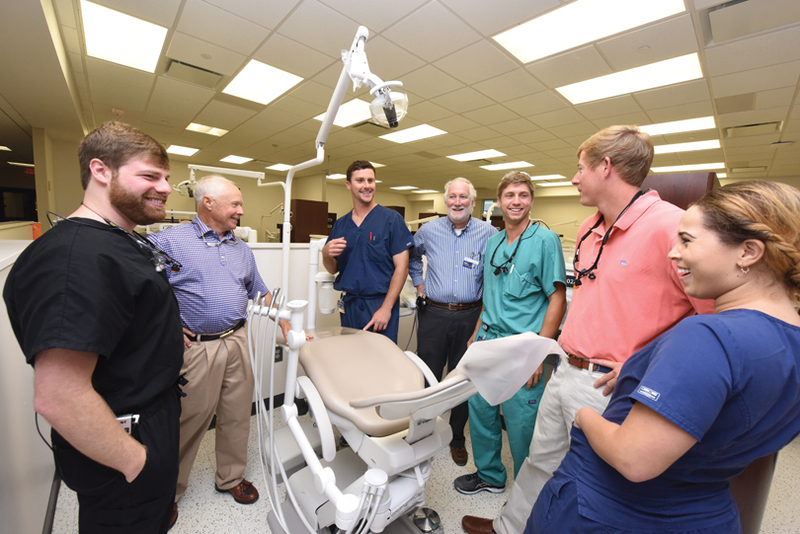 Dr. McMillan’s next mission trip to Hinche will take place the first week of May 2018. For more information or to volunteer, contact him at kenbat@mindspring.com.